Throughout time, bracelets have featured every type of material imaginable and been worn by all types of societies. Shell bracelet from a Nubian grave (c. 1800 B.C.). 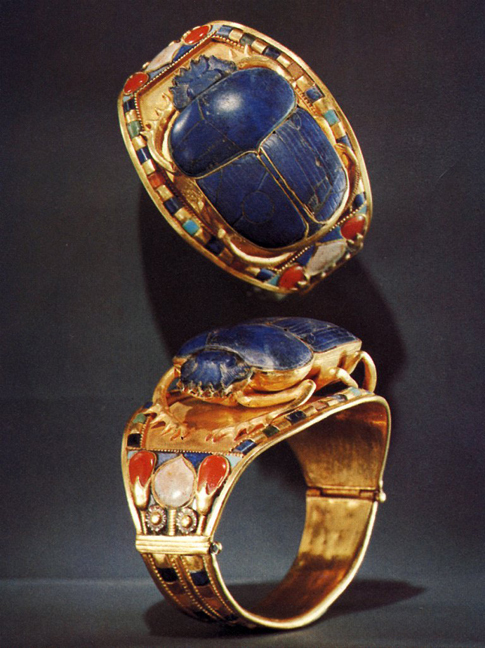 Scarab bracelet from the tomb of King Tutankhamen (14th century B.C.) from the Egyptian Museum in Cairo. The word “bracelet” comes from the Latin word “brachium,” meaning “arm.” In old French, bracelets were called “barcel.” Bracelets made of reeds, bone, wood, and shells have been worn by both men and women since the beginning of time. In ancient Egypt and Babylonia, brides wore two bracelets–one on each wrist. 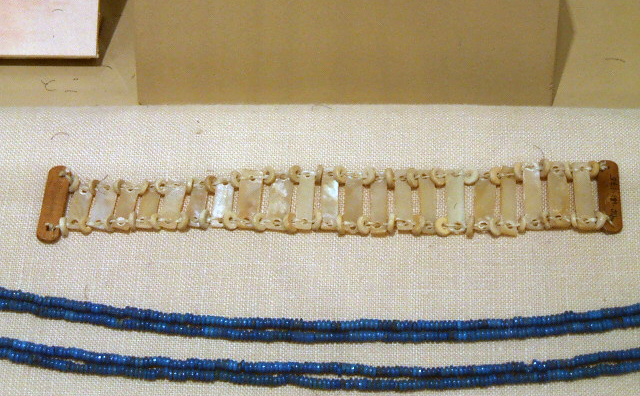 Bracelets excavated at the Nimrud tombs (8th century B.C.). Arm rings, or armlets, are bracelets worn on the upper arm. Experts speculate that many of the “rings” of the Bronze and Iron Ages were not finger rings, but armbands. 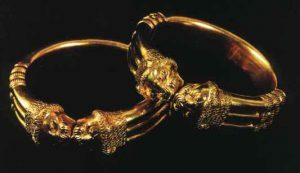 In texts dating to the Celtic Iron Age for example, a “ring” refers to a torc , a large neck ring or bracelet. For many centuries in Asia, brides wore armlets to ward off evil. 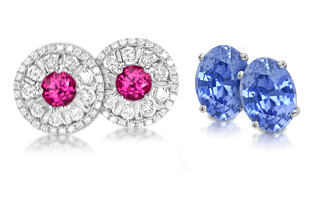 Today, men and women in Sri Lanka continue to wear armlets, but for purely ornamental reasons. 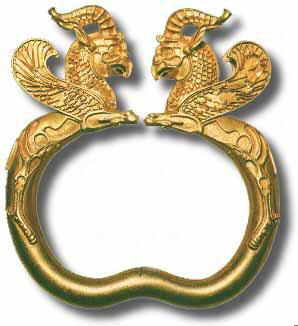 Ancient bracelet from Iran (c. 500 B.C.). In modern India, the number and type of wrist bangles worn by a Hindu woman indicates her marital status. A kara or kada is an iron, or occasionally gold, bangle worn by both male and female Sikhs. It represents one of the five kakars, or articles of faith that identify members of the Sikh religion. 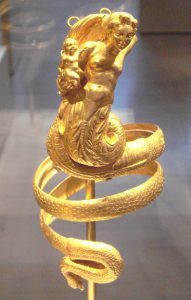 Golden armband from Greece c. 200 B.C. 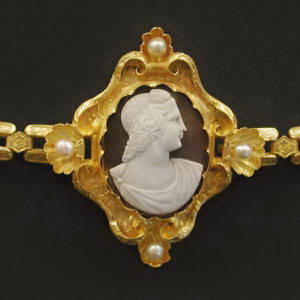 Antique bracelet with cameo (French, late 18th century). The Greeks and Romans wore bracelets around the wrist or on the upper arm, many of which were fashioned to look like snakes. Roman warriors also wore gold armlets into battle to protect the upper arm from injury. 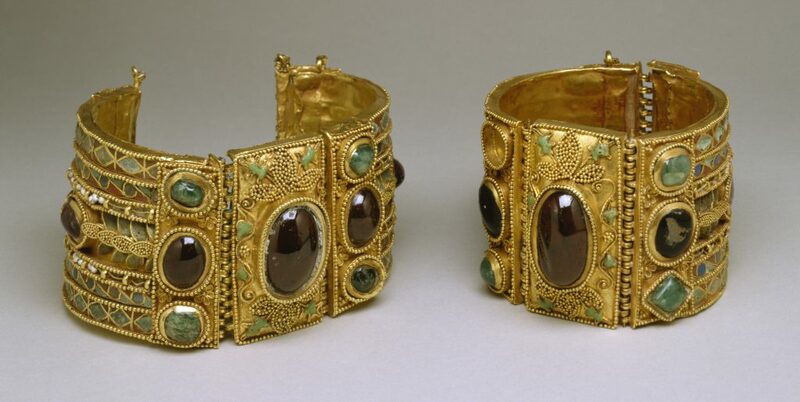 In Europe, bracelets fell out of fashion during the Middle Ages. However, in the 17th century they reemerged and took on many new forms to match popular fashion. 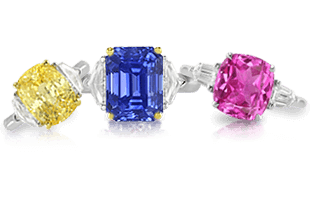 Medallions, cameos, and gemstones linked by chains and ribbons were all incorporated into bracelet styles. 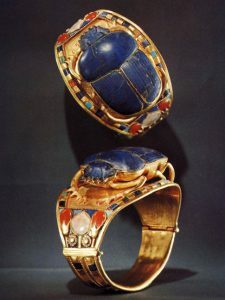 Victorian scarab bracelet made of gold and carnelian created by the famous design house of Castellani and Sons. 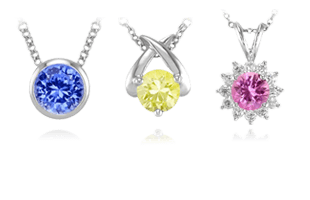 Charm bracelets have also come in and out of style over the last century. Queen Victoria's interest in charm bracelets fueled a new fashion trend among European aristocracy. 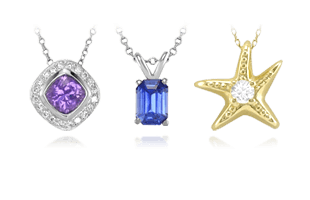 During the 1950s and 60s, charm bracelets were again in vogue and collectors prize these vintage charms. Today, bracelets come in an unlimited variety of styles and designs, and we’ll explore those next in Bracelets | A Guide to Elements of Style and Settings.